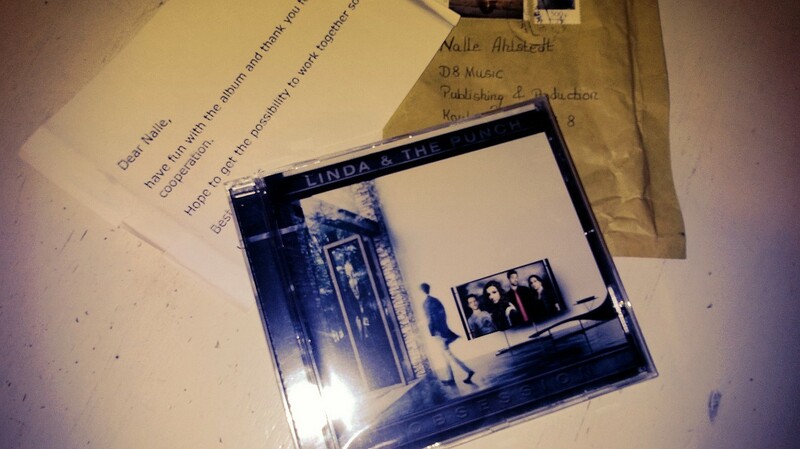 Just received this one in the mail today: a copy of the newly released cd Obsession by Linda and the Punch. Track n:o 8: Kill the Lights is written by me and Tommy Denander. For me this is the first time to break ground on British soil. Wishing lovely Linda the best of luck and many gigs! Helena Paparizou delivers as usual! The album One Life (including “Crazy for Love” by Ahlstedt, Somer and Fuentes) was released the 26th of March and is already climbing the Swedish album chart at the speed of sound. Molly Rosenström is another young lady to be very proud of. Her album Stardust” and single “Half Life” (Ahlstedt, Halloun, Fabrin)were just released and she has already appeared in two TV shows performing Half Life this week. Watch a clip by pressing the link below. A berry picking summer hit just released! Finnish schlager music is usually very melancholic, but this one is an exception! Hurma’s Marjanpoimija (“the berry picker”) is a clear summerhit for the beer gardens in the land of the thousand lakes. Freshly pressed, just for you! Check it out! A visit to the business service center’s advisor for start-ups does not make a business, but it is another step on the way. The goal: a publishing company of our own. The check-list got shorter, the to do list longer.